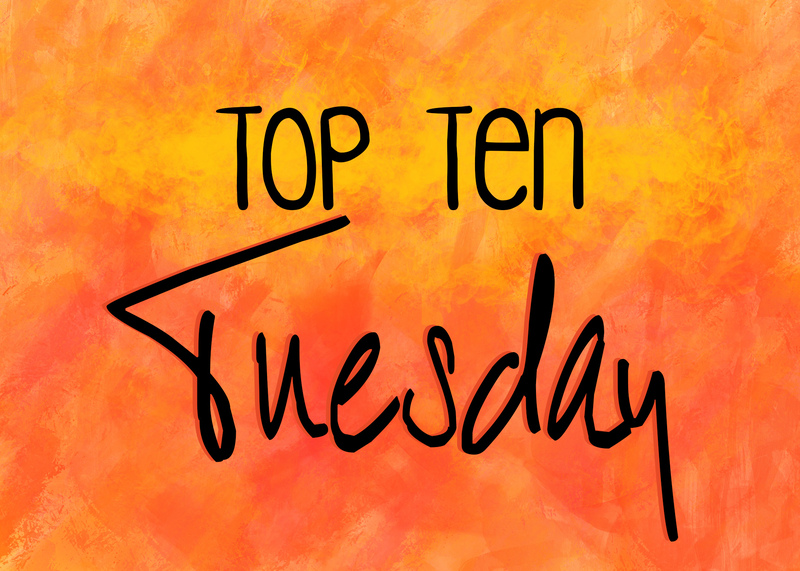 This week marks the 5 year anniversary of Top Ten Tuesday. Technically, this week’s topic is Top Ten Topics We’ve Done, but since I haven’t been on the TTT bandwagon very long, I didn’t have a lot of topics to choose from that I’ve actually done. So here are ten topics that were “assigned” before I started taking part, that I wish I’d responded to. To make it more interesting, I’ve included a few of what I think my responses would be. Great take on this topic! I haven’t been part of TTT long either, so this week I just did my own thing. This is a great idea though and I wish I had done it. Maybe I’ll have to do something like it next time a freebie week comes up. Great list, and happy reading! Thanks 🙂 I’ve always looked at the list of previous topics and wished I’d answered them so when I saw this week’s topic I decided to go for it. Random shots of dresses are an annoying cover topic–unless the book is about a dress, no matter how pretty it is, it isn’t relevant. Nice take on this topic! I was in the same boat as you in that I haven’t been doing TTT all that long, so I just picked an old topic to do. Love how you formatted it! I did mine in much the same way, but quite honestly I think yours turned out better. 😉 Unfortunately, I didn’t recognize any books on your list except Uprooted, and I haven’t even read that one! Gaaaaaaaa! 😦 Well, better get areadin’ before it gets too late for all… These… Books… So heavy!!! *collapses under the weight of all the books I need to read* 😉 Happy reading! Thank you so much 🙂 and the are always too many books out there! Don’t even talk about something that awful! A world without books! Gah! I need to start reading! Oh no, I have the shudders now! *sob* BOOOOOOKKKKSSSSSSS WHERE ARE YOU COME BACK!!!! !